Customers are the life line of any business. To retain them as well as keep them satisfied is the biggest challenge faced by any organization. At All-Resource, we offer all the services for customer oriented marketing and support in the form of contact center services. 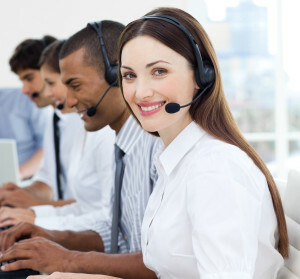 For serving you better we focus on core competing technologies and provide cost saving solutions covering all the aspects of contact center services creating a good will for you and your customers. At All-Resource, we help you in providing economic and efficient customer-oriented services. We help you in all sorts of Customer Relationship Management to maintain and increase your company’s interactions with customers, clients and sales prospects. Through our services you can be technologically advanced and can successfully organize, automate, and synchronize your business processes to achieve your goals. At All-Resource, we grow your business by letting your people focus and develop on your company’s main strengths. We understand and value your requirements and your relations with your esteemed customers. We also offer entire gamut of marketing services to make you more reachable to your customers and gain a competitive edge over other businesses.